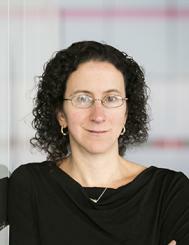 Amy Finkelstein is the John & Jennie S. MacDonald Professor of Economics at the Massachusetts Institute of Technology. She is the co-Scientific Director of J-PAL North America, a research center at MIT designed to encourage and facilitate randomized evaluations of important domestic policy issues. She is also the co-Director of the Public Economics Program at the National Bureau of Economic Research, a member of the Institute of Medicine and the American Academy of Arts and Sciences, and a Fellow of the Econometric Society. She has received numerous awards and fellowships including the John Bates Clark Medal (2012), given annually to the economist under the age of 40 who is judged to have made the most significant contribution to economic thought and knowledge. Other awards include the American Society of Health Economists’ ASHEcon Medal (2014), awarded biennially to the economist age 40 or under who has made the most significant contributions to the field of health economics, a Presidential Early Career Award for Scientists and Engineers (2009), the American Economic Association’s Elaine Bennett Research Prize (2008) and a Sloan Research Fellowship (2007). She has also received awards for graduate student teaching (2012) and graduate student advising (2010) at MIT. She is one of two Principal Investigators currently leading the Oregon Health Insurance Experiment, a randomized evaluation of the impact of extending Medicaid coverage to low income, uninsured adults. More information about this study is available here: http://www.nber.org/oregon/.